Creating Beautiful, Healthy Smiles for Life! Meet Dr. Steven Collins, Jr. Your comfort is a top priority for Dr. Collins. Maybe you’ve had a bad dental experience and when you think of the dentist, you think of pain. We understand your concern and we do our best to cater to cowards, making every visit as relaxing and comfortable as possible. Many of our patients have told us that the worst part of going to the dentist is the shot. The good news is that with modern technology, we can help alleviate pain at the injection site. Dr. Collins uses topical anesthetics that numb the area where the injection will take place. There are also extremely tiny needles available today that are specially made so you can hardly feel it. Nitrous oxide is another gentle dentist technique that is commonly known as laughing gas. This mild, sedative gas is breathed in through your nose to help you relax. It takes effect almost instantly and wears off as soon as the gas is turned off. When your appointment is finished you will be able to drive yourself home and go about your day normally. If you want to learn more, please visit our nitrous oxide page. Sometimes all is takes is a simple distraction to take your mind off the treatment. In each room you will have access to a television, stereo headphones, and movies. Dr. Collins will be as gentle as possible and he wants everyone that visits to be completely relaxed and comfortable. If you have had a particularly traumatic experience, we understand your concern. 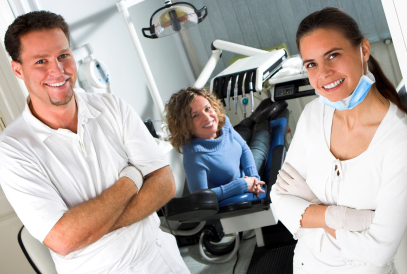 We offer other forms of sedation dentistry that are completely safe. Some patients tell us that they were so sleepy and relaxed that they didn’t even remember their appointment. Read or write reviews about us. Steven D. Collins , D.D.S.